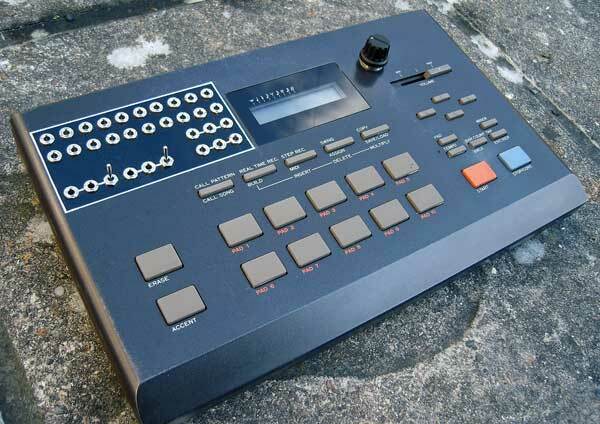 80's drum machines, don't you just love them? 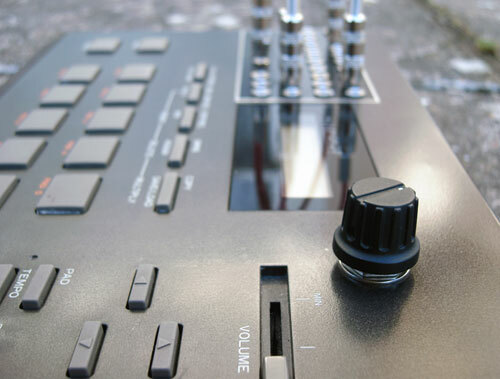 Pure 12 bit filth for every sound. The Kawai R-50 and R-50e could be seen as direct competitors to the Roland TR-505 except they have more sounds, flange & short delay FX, are far more editable (pan, tune, gate and accent amount for each sound), have an extra assignable output, vastly superior build quality and a decent swing control. Basically they piss all over the 505 so we don't quite understand why the 505 is so popular and few people have ever heard of the R-50. Could it be because it doesn't say Roland on it? 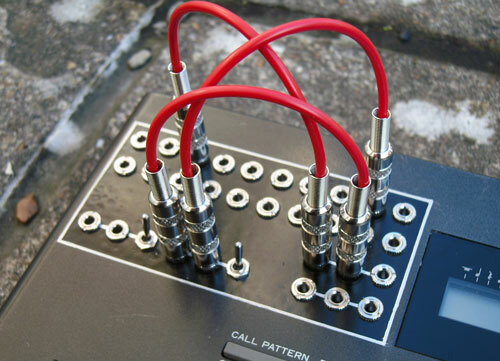 20 way main patchbay: More information and details of our patchbay mods can be found HERE. The R50 and R50e sound dirty to say the least and this is reflected in the character of the effects produced by the patchbay connections. The effect are not so much punchy as disgustingly sordid and grimy. If you wanted a drum machine for dirty warm midrange insanity and distorted bent noise then the R50 or R50e are ideal candidates for the job. The new demo below is from a Kawai R-50e. As you can hear the effects are very similar, just using a slightly different original sound set. For some reason virtually all the sounds on the R50 sound a lot more meaty if you detune them using the pitch knob, compared to using the onboard 'tune' parameter. This is especially true of the snare sounds which gain that same gritty punch that leads Hip-Hop and breakbeat producers to spend large sums of money on certain 12 bit samplers. The demo below is of a R50 with pitch controls. The sounds start out clean and pitch bent, then get more distorted by the circuit bending features as the demo progresses. if you want your R50 or R50e modded get in touch using the CONTACT form.